Where are the laurels for all our great Irish gardens? What she found, however, was that more gardens than ever were opening to visitors. “Loads of people were beavering away, doing their thing. I got happier and happier as I went on,” Lanigan says. 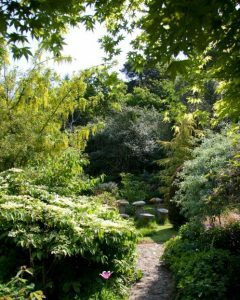 One area that has provided an unexpected treasury of gardens newly open to the public is the west, particularly counties Mayo, Sligo and Donegal. “That’s where all the action is taking place now.” Take Co Donegal, for instance: in 2001, when Lanigan published her first gardens guide, the O’Brien Guide to Irish Gardens, she found just four gardens to visit there. Sixteen years later, she has identified 25. “When I meet a gardener who is particularly engaging, or a garden that surprises me, they are often in Donegal.” She loves Dorothy Jervis’s patch at Sea View, in Mountcharles. “It’s a real country garden and is utterly charming. She’s the fourth generation to live there; her granny got it going with a couple of rose bushes, and everything is grown from cuttings. Dorothy opens it for charity,” she says. Lanigan, who lives in Kilkenny, was born and reared in Drumcondra, near the National Botanic Gardens. Her love of matters horticultural was spawned thanks to a college friend, an aspiring musician who was the son of the director of the Glasnevin gardens. “The band used to practise after hours in the potting sheds. I had to go and watch. They were awful,” she says. In order to pass the time, she began sneaking into the gardens, where she discovered a new interest. That was in the early 1980s. She has been a dedicated garden visitor since. 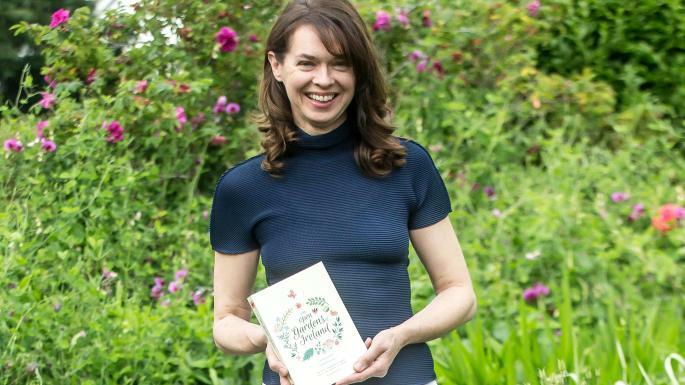 Her recent venture has been gratifyingly successful: the book became an instant Irish bestseller, after at least 1,000 copies were sold in the first weeks. Lanigan wrote the text in about six months, but took two years to do the research, driving around Ireland in search of gardens. She clocked up 7,240km on her car, but has no idea how many days she spent on the road. She has favourite gardens. In Skibbereen, in Co Cork, she loves Janet and Robin Stonard’s Lassanaroe. “It’s out in the middle of nowhere. You’re up one lane and down another, and you eventually arrive at a little Japanese gate in a native hedge,” Lanigan says. 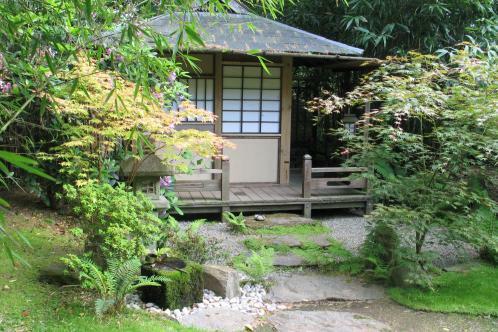 Hidden in deep west Cork is a slightly overgrown and throughly delightful creation with Japanese maples and lanterns, and even a traditional teahouse. On the Beara Peninsula, near Kenmare, in Co Kerry, she admires jewellery designer Charlotte Verbeek’s Dawros gallery and garden with its “really cool style, Scandinavian minimalism and a wild garden that blends into the wilds like smoke”. In Kilternan, in Co Dublin, she is keen on Knockrose, the garden of Tom and Patricia Farrell, an informal, peaceful sprawl that reminds her of a Beatrix Potter story.